Novel fashion, feeling good, easy to carry, the appearance of generosity, and practical. Can be placed in it without removing the lens. Hand carrying or shoulder strap or buckle. Material: Nylon. 1 X shoulder strap. Features:100% Brand new and high quality!A perfect combination for photo gear, it was designed specifically for digital photographers.Photo journalists and location photographers will find it a great travel companion.The backpack's reinforced construction, shock-absorbing closed-cell foam padding and tough, water-resistant outer durable waterproof Nylon protects contents from moisture and sudden impacts.The patented All Weather Cover offers maximum protection from extreme weather conditions, dust and sand.Zippered pockets provide photographers with fast, easy access to equipment.Thick & High intense Waterproof Nylon & Comfortable Rubber Hand StrapThis backpack has plenty of pouches (great for keys, cell phone, ipad and mp3 players), and large zip. This extra lightweight carrying bag includes a foldable water proof rain cover, making it a perfect for professional photographers who travel, hike or enjoy shooting outdoors. Exterior color: Black. Waterproof nylon fabric: Suitable for various weather(Rain cover included), wear-resistance, waterproof, shock-proof, breathable. Material: Waterproof Nylon Polyester. Anti - vibration sponge design the space for storing computers. 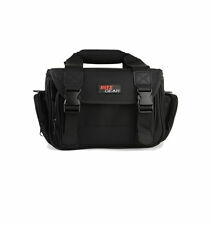 Nikon Deluxe Digital SLR Camera Case - Gadget Bag for DSLR Camera. Condition is Used. Shipped with USPS Priority Mail. Trending at $18.63eBay determines this price through a machine learned model of the product's sale prices within the last 90 days. 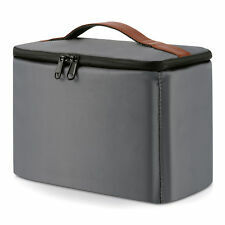 Protect your camera investment and keep things organized with a padded camera bag insert. 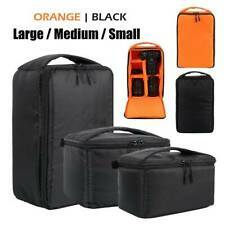 High density nylon insert fits in to most medium sized bags and keeps lenses and camera bodies separated and secured while being carried. Foam padded interior prevents scratches, bumps, and damage caused by every day use. Insert interior can be adjusted to fit your needs with included velcro partitions. Water resistant exterior keeps errant raindrops from ruining sensitive equipment. 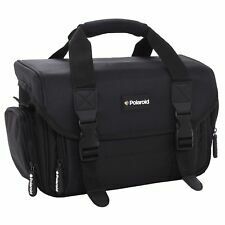 Whether you are an amateur or a professional this camera bag insert will have you covered.. Cleaning kit included, and cleaning cloth sent at random color. Qualitied Material: Made of special nylon for prevent damp weather, ripping and abrasion for longer service life. Nikon AF-S DX 17-55mm f/2.8G IF-ED；AF-S DX 18-105mm f/3.5-5.6G ED VR；AF-S 70-200mm f/2.8G ED VR II. Holds DSLR with Standard Zoom Lens. Microfiber cleaning cloths for cleaning all types of lenses and screens. Leave no marks behind. Ultra-Fine microfiber cloth attract, lift and hold dirt, dust And grease with Just a little water. 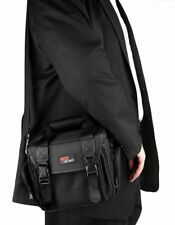 Canon Digital SLR Camera Case- Camera Bag For DSLR. Condition is Used. Shipped with USPS Priority Mail. Note: two markings on the camera bag, please see picture. A stain by the end, see last picture. 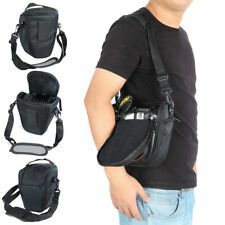 Includes a 2” wide strap that can be used either as a waist bag or a shoulder bag. The length of the strap is adjustable. Divider Pockets for Smaller Accessories. Item # 8155. Removable Shoulder/Neck Strap. Specification: NEW Colors: Orange Material:Oxford Cloth Lining:Polyester Size:about 31cm/12.20"x18cm/7.09"x50cm/19.69" [Conversion: 1cm=0.3937 inch, 1inch=2.54 cm] Features: -Fashion backpack, compatible with most Digital SLR camera cameras. -You can customize the camera compartment. -Comfortable soft handle and shoulder straps will make you feel comfortable even during the longest journey. -Perfect for traveling, weekend getaways, school, shopping and other outdoor activities in daily life. -Best Match: Compliments various style dress and shoes in matching color. Package Included: 1 x Camera Backpack(Not included Camera) 1 x Rain Cover Note: -Due to different producing batches, product details might be a little different. If you minding the difference, please buy it carefully. -Please. Hand carrying or shoulder strap or buckle. Material: Nylon. Novel fashion, feeling good, easy to carry, the appearance of generosity, and practical. 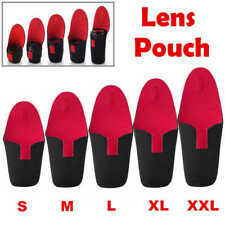 Can be placed in it without removing the lens. 1 X shoulder strap. 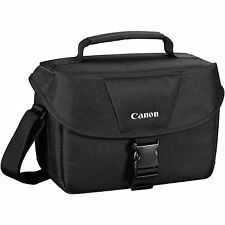 CANON Digital SLR Camera Case Black Green Gadget Carry Bag for DSLR Camera. Condition is Used and in very good condition. Shipped with USPS Priority Mail. 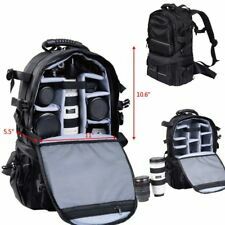 KOOLERTRON Canvas DSLR SLR Camera Bag Backpack, stylish, spacious and functional. Condition is Used. Shipped with USPS Priority Mail Flat Rate Envelope. Used a total of 3 times and most sat in the closet to store camera gear. Here at SkyMall, we’re different. No, really! 3 Outside Pockets Webbed Inside Pocket. We would be happy to assist you. Whether you`re satisfied or not, we encourage you to reach out to us and let us know. Description: 1. Velvet made liner, with good shockproof performance 2. Anti-static composite material Sleeve, pliable and flexible; 3. Internal guard interval can be freely used in combination with portable transport; 4. More comprehensive protection design,make the equipment against damage from external environment ; 5. Fits DSLR cameras etc NOTICE: Camera is not included! 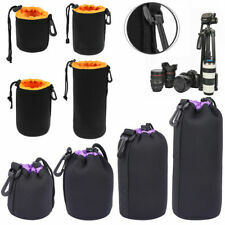 Specifications: Material: Velvet Polyester External size: W27 x H16 x D12 cm Internal size: W25 x H15 x D10.5 cm Net weight: 160 g It fits (1 DSLR 2 Lens) May be fit NikonD90 Battery Pack Grip Holder, / Vertical Shutter,with bit narrow. Insert interior can be adjusted to fit your needs with included velcro partitions. Note: Insert Case ONLY! Item Weight:about 0.12kg. Color - Sand / Tan / Beige. Velcro Pockets. Strap Drop - 34". Width - 19". Studded Bottom. In addition, there is plenty of room for accessories. This case is perfect for beginning and advanced photographers alike! The interior of this case iswell-padded to protect against impacts and scratches, and features severaladjustable velcro dividers, allowing you to customize the fit.